Stay organized with durable storage and shelving options, improving productivity and efficiency. 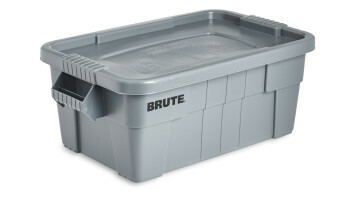 The Rubbermaid Commercial BRUTE® Food Storage Tote with Lid is ideal for the food service industry, these plastic food storage containers meet NSF/ANSI Standard 2 for use in food handling and processing. 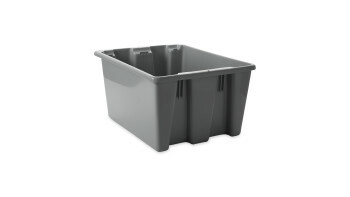 The Rubbermaid Commercial Palletote® storage containers are an effective storage solution with the durable stackable nestable design that withstands hot and cold conditions.